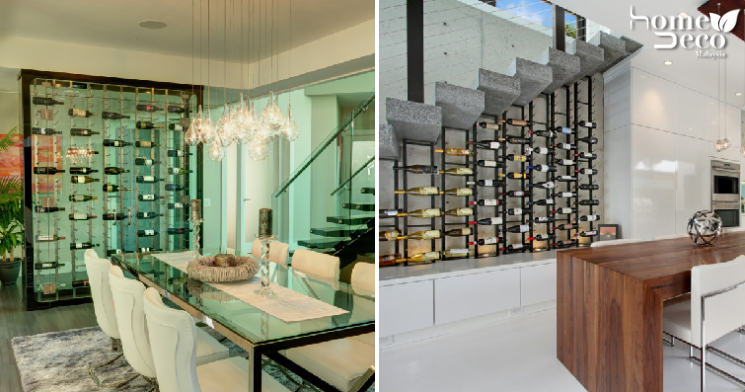 For the wine enthusiasts who love to store their drinks at home, they definitely need a space for all the bottles that they have been keeping for so long. You don’t even have to keep them in a basement anymore because modern technologies these days allow us to put them almost anywhere in the house. Here are some really cool wine storage ideas to keep your wine at the perfect temperature. You don’t have to dedicate a whole room to store your wine bottles but can instead make a gorgeous glass case just like this one that can display your wine and keep them neat. You can put them in your living room, library or any other empty space you have as long as it’s convenient for you. Sometimes the wall can make a great storage place for your wine bottles too as it can help to save space in your home and by placing it at the dining area, it makes for easy access. It’s built-in and looks good as a wall accessory as well. For those people who have the luxury of space in their homes and simply love their wine too much, why not create a wine room for themselves? It’s like a home bar but even more stylish and has ample space for all your bottles. Plus, it makes a great area to entertain your guests too. If you’re proud of your wine collection then show them off in your home with some pretty wine displays. It doesn’t have to be very big but sorting them nicely on a cabinet will make them look like a piece of art and puts a rather elegant touch to the room. Perhaps you don’t have much space for storing your beloved wine collection but would really love to arrange and sort them out nicely. Don’t worry though, you can utilise awkward spaces such as those nooks under the stairs that is often kept empty for a quirky wine storage space.